Between hosting events, hosting tours, and the day-to-day operations at the Museum of London, there is sure to be a need for storage. 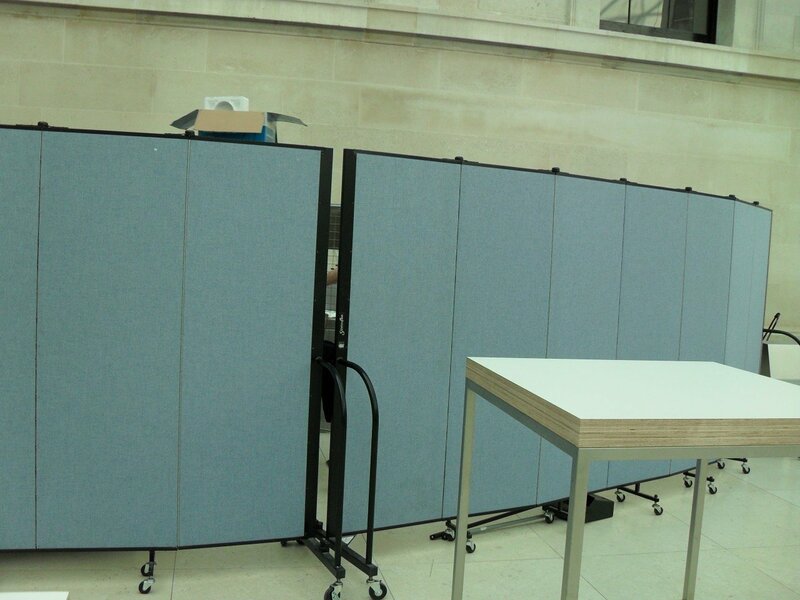 Museum of London employees has discovered using Portable Room Dividers to create storage barriers are simple and effective to use. The dividers roll in and out of place on caster wheels that lock securely into place.